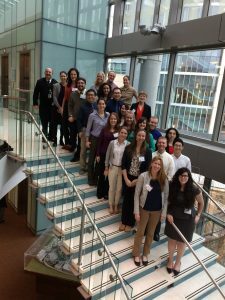 On Monday, January 23rd, 2016, the CDC Headquarters in Atlanta, GA welcomed veterinary students from across the country for their biennial Veterinary Student Day. Cummings School was represented by 19 students from the 1st, 2nd and 3rd year, plus faculty member, Dr. Marieke Rosenbaum. 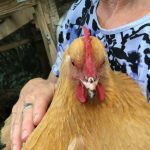 -This trip reaffirmed for me the versatility of the DVM degree – there are so many career opportunities for veterinarians beyond the clinical setting. While visiting the CDC we heard from veterinarians from 7 different federal agencies, state veterinarians and vets at non-profits. -A common theme amongst the presenters was how their career deviated considerably from their original plan. Vet students are very goal oriented; we tend to set an objective and pursue it whole-heartedly. This often blinds us to other opportunities and also risks disappointment if things don’t go according to plan. Hearing these speakers reminded me to slow down, explore things that interest me even if I don’t think they align with my presumptive career path, and keep myself open to opportunities that I hadn’t anticipated. -There were about 400 vet students from 30 different schools in attendance. I had a blast interacting with other students and picking their brains on what their curriculum is like, when they start clinics, what their career plans are, and just relating on the joys and frustrations of vet school in general. -This event really emphasized to me the abundant opportunities for veterinarians to become involved in public health and disease control, working beyond the clinical setting. Many people only think of veterinarians as doctors for their dogs and cats, but veterinarians do so much more to protect the public. For example, we learned about the CDC’s work in rabies control programs and their work in stopping a foodborne disease outbreak from a Connecticut goat farm. I found all of the lectures extremely interesting and inspiring. 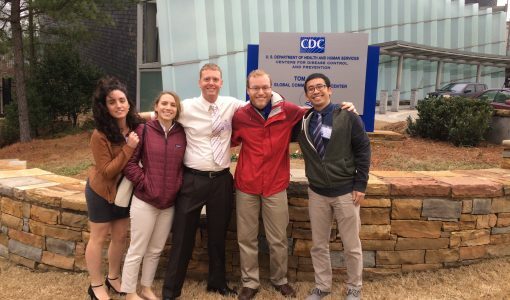 -CDC Day gave me the chance to talk with veterinarians working in different public health fields and learn about their specific jobs. 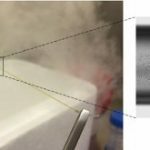 Veterinarians in the Epidemic Intelligence Service, the Public Health Commission Corps and the USDA were only some of many career fields represented. As a student in a DVM/MPH program, it was great to hear how both of my degrees can be utilized. 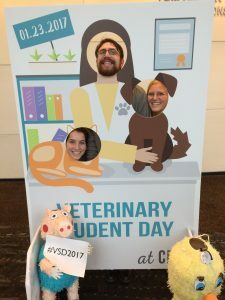 -With aspirations of possibly working for the CDC one day, I also learned about opportunities for veterinary students to become involved with the CDC before graduation. The CDC offers a fellowship program for 2nd and 3rd year students and an epidemiology elective for 4th year students. CDC Day is held every other year and I would highly recommend anyone who is interested in veterinary public health to attend in the future! -You don’t have to work within the CDC’s walls to live out a gratifying career of public health. By oath, all veterinarians will uphold practices that sustain animal, environmental, and human vitality . -The most impressive displays of veterinary public health careers were largely unplanned. Across the board, the commonality between these professionals was in their courage to make 90 degree turns when the paths no longer suit them. -I’ll actually add another commonality, big smiles and great senses of humor. Personal wellness was a powerful energy coursing through the crowd on Monday. It was both refreshing and relieving to be reminded that the pursuit of an impactful, satisfying career in public health does not come with the consequence of compromising personal health. -It really hammered home how small the veterinary world is after seeing some familiar faces mixed in with the new. Even when meeting new people, almost everyone I talked to knew someone I was friends with at Tufts. 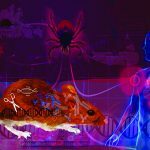 -The job opportunities at the CDC are very human-health oriented; however, there are more opportunities to practice veterinary medicine in one form or another at the CDC than I had previously been led to believe. It’s all a matter of opportunity and timing. –I really enjoyed the panel. Everyone had vastly different interests, and had taken their careers on very different paths. It made me feel better about my choice to practice before going into the field, but it also made me realize that the path was open for me to go straight into public health if I wanted to, and I enjoy that freedom. V20s: Jason Doll (top), Haillie Crockett (left), and Mattison Peters (right). 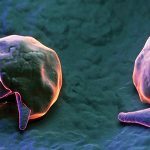 -In a world of “alternative facts”, effectively communicating news concerning potentially infectious and/or zoonotic disease is paramount. We had a small group activity where a few of us got to respond to FAQs that happen after an outbreak and it was fun to think of not only answers to sufficiently answer the questions, but ones to professionally mitigate any brouhaha or concern. -Though a lot of coursework here in vet school may seem excessive, there is merit in taking these courses to help shape who we are as future public health scientists, such as learning development to understand the harmful effects of Zika. -You don’t need have an MPH to serve the public health community. I loved meeting different students that had the same passion that I do to serve the community at large, but wanted to work in a small animal practice, which is still at the forefront of public health and herd immunity but within the private sector. As a part of our oath we promise to “promote public health” (which I personally feel is just the health of more than just the individual patient, but the patient’s family, community, and species). -The Tufts’ network is strong in the field of veterinary public health— so don’t be shy in reaching out to alumni to pick their brains about career opportunities. -Working in public health affords the opportunity to work alongside experts in many different fields and the possibility for real, interdisciplinary collaboration. -There are TONS of opportunities for veterinarians to find work with the government on the front lines of promoting public health, global health, and infectious disease using cutting edge technology. A veterinary degree opens the door for many job opportunities and career paths that may not be obvious at first pass. -Epidemiology Intelligence Service Officer accepts non-US citizen to their program. -Even if you did not start out as DVM/MPH, you could still get your MPH degree concurrently with your DVM. -CDC and related agencies are full of highly accomplished people who have done pioneering work on many of the issues we learn in classrooms. -A career in veterinary public health can be exciting and challenging. Each day can be different from the next! -There is no need to follow a one-track career path, it is ok and even encouraged to change things up as different opportunities present themselves. -The community of veterinary professionals is extremely supportive and full of individuals who want to help others along their way to success. -Veterinarians may make up a small number of the CDC’s workforce, but play a valuable role. Much of public health involves making important decisions with incomplete sets of information, which we learn how to do with our patients in everyday clinical practice. There is a place there for our unique perspective. -The pressures of public health work are very different from clinical practice. The hours are often more manageable, and compassion fatigue seems to be a smaller issue. Many of the people who spoke seemed very satisfied with their jobs. However, you might not actually get to work with animals as often as you’d like. In leadership roles, you must also have skills in writing, public speaking, and outreach. You must be able to navigate the intricacies of government and learn how to be patient, as you are reliant on a much larger system to make decisions and provide funding for your work. 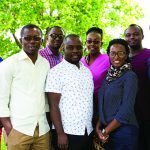 -There are many exciting opportunities for veterinarians in public health that may not be obvious to the average vet student. For example, a veterinarian that had been deployed by the CDC to respond to the Deep Water Horizon oil rig explosion then started her own conservation agency. It is nice to know we have so much versatility. -It was great to hear about about the vast opportunities in public health and to see examples of people in senior management positions that were veterinarians. I was also able to network with many people and met a few with whom I will be staying in contact. A group shot of Cummings School students, faculty and alumni at Vet Student Day at the CDC.